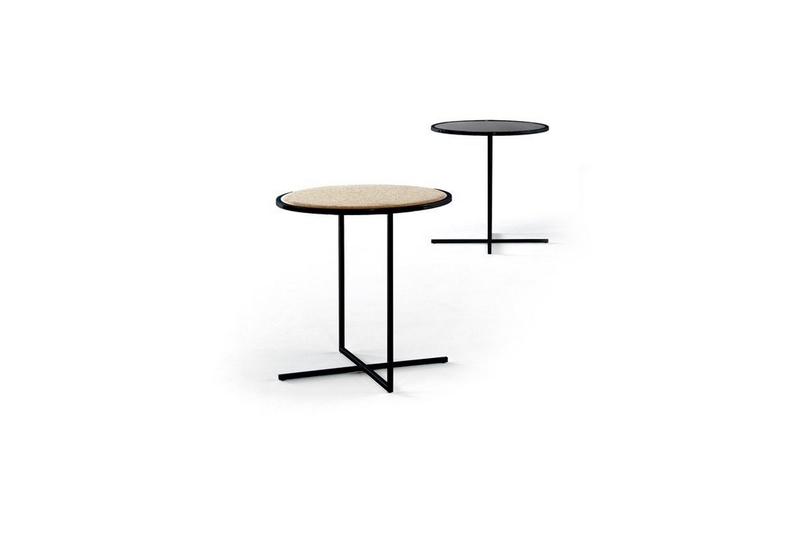 Occasional lacquered steel tables for the home and public spaces. With its clever, stylish design, Holy Day is the ideal table to be placed next to a sofa. The Holy Day table is available with multiple tabletop options, such as lacquered MDF with oak finish and even an upholstered finish. Structure in calibrated lacquered steel tube in thermo-reinforced polyester in white or black. Tops are available in oak or upholstered with the finishes from our collection.